Kronika has been looking over everything since the dawn of time and is stepping in as Raiden defeated Shinnok, but also mentions this is the second time (first time with Shao Kahn and going back in time to prevent Armageddon) he has "upset the balance of history." It is only a matter of time until the universe bends to her will (paraphrasing), so she clearly is running things on her own outside of the Elder Gods. Her intentions are evil and will try to either erase the current timeline or just mix them up to have the different realms just battle it out. She is saying Liu Kang again made a wrong choice when she confronts him in the past, which is interesting. I think with the structure (chapters) in mind we will see the likes of Liu Kang, Raiden, Sonya in the current timeline or old being confronted by Kronika and their past / current selves. The revenants making a return and fighting their original selves makes a lot of sense. My main take away from the prologue is that Raiden - while turning dark - is still the protector of Earthrealm as Liu Kang rules over the Netherrealm. His intentions are still to protect, though in an aggressive way. He is seen fighting off hundreds of minions - for the lack of a better word - and will work the revenant Liu Kang, Kitana and Kung Lao as well as the Special Force I'd imagine. I'm leaning then towards Fujin being killed off, sorry to say as NRS probably doesn't see him serving much purpose. 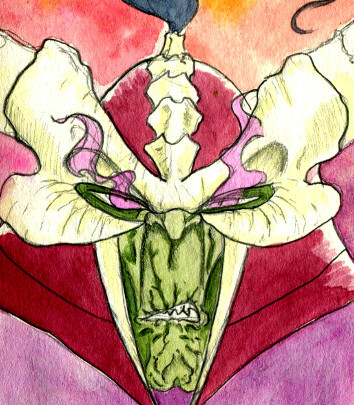 With what we know, there's not much use for Fujin since he doesn't need to lead any of earth's forces into battle. It will be interesting to see what they do with Quan Chi, Shang Tsung & Shao Kahn as the main antagonists of the series and very much tied to Shinnok, the MK tournaments, fighting earthrealm and the first meddling by Raiden. Also what they do with Fujin and the reaction by the Elder Gods to how Raiden is acting and Kronika & Geras messing with time and Shinnok who was of course despised by them. To me Shao Kahn as DLC makes much less sense, because he surely must make an appearance no? Would be odd if they go back in time and have him stay dead and simply mention him a couple of times. As much as I see potential for the likes of Havik and Hotaru, I don't see them going down that path and revisiting those realms though it shouldn't surprise. Still, when MKX's story trailer came out many speculated on them incorporating the blood magik and we came up with the most interesting plot lines but NRS tends to keep it more straight forward than that. The story mode is not that long and especially with the backlash of cameos and NPCs, they likely will not have too many characters showing up who won't be playable, if at all. This leads me to the final point of MKX's newcomers, particularly the story of Kotal Kahn taking over from Shao Kahn and the next generation. It's easy to expect them not even going into this that much, simply by messing with time back when they were dead and or were not on the scene yet. Still, would be odd if they introduce 4 new characters tied to the main characters and then just not show up. Cassie could be the sole exception, she did beat Shinnok, so maybe that's why she will appear at least in story mode. I tend to lean towards only Kotal Kahn and maybe Erron Black aside from Cassie making appearances and not necessarily playable. I think we will end up with Shao Kahn / Kronika on top like Geras down or next to him, which leaves exactly space for 6 slots on top and 6 down, making it a roster of 38 with two DLC packs of 6 (12 total) and starting with 26. At least two Kombat Kids mainly what's her face voiced by one of the blandest voice actress's out there beyond the Steven Universe cast, Ashley Burtch. And Scorpion and Kenshi's kid. And then a bunch of new forgetable lame characters who are hardly relevant to the story. Good post TS - I have always love the story of MK, and am so excited to dive back into the MK realm this April. I basically agree with what you say - Kronika seems to operate outside of the elder Gods, but has powers that are at least comparable to Raiden. That said, it is so hard to predict where they go with this kind of storyline - once you introduce time bending to a place that already houses different realms - it gets a little complicated. I am very unsure of who else may return. I also wonder if Kronika has any connection to Onaga, or, Argus and Delia (the God/sorceress couple from MK7). What she intends to do (fix time to her liking) would be at odds with Argus, and would effect Onaga (as well as everybody still alive in the current timeline - in particular Cassie Cage and company). I hope they get this story right. They did a great job with MK9 and MKX in my opinion. But here we are really going out there. I may be being ridiculously optimistic, but with the time-bending storyline there could feasibly be a very large roster. The character select screen could rotate maybe. If all times are accessible, anyone may turn up. I actually think somehow it would be funny if the time travel / reversal will actually go back to moments right before a character got killed, like Baraka in MKX. They will go back, Kronika whispers in his ear and in turn Baraka will kill D'Vorah. I think Kronika is going to create alot of butterfly effects. I wish her boss battle was against onaga, shao khan, shang tsung and a shinnok cameo while she sits in a shield untargetable. When you win the round, she simply keeps rewinding the round and it says round 1 over and over until the 4 are dead, then round 5 , the shield comes off and she fights you. She has NPC boss only moves like a move that can stop time for long durations to pummel you. (geres has the balanced playable one), she can rewind her health bar back to full, she can rewind your proectiles everytime you throw them, they rewind reverse to you. (cosmetic looks only and You have to beat her without projectiles). Her boss arena is arcade arena only and switches to various important stages in MK like where onaga's egg hatches, shang tsungs courtyard, the final MK:A battle pyramid, shao khans courtyard, then her stage where the hourglass resides, looking like a futuristic stage with energy everywhere. Reality: A generic fight where she shares moves similar to Geras and the worse MK boss we ever had, more generic than Shinnok MK4. Regarding NRS comments, the main issue is that Raiden took away the greatest evil - Shinnok - after obliterating most evil characters or making them join his side. So, despite his Dark persona, he will probably go on a rampage through the realms to erradicate all evil, and as Cianciolo said, he already has compromised the balance of the universe Kronika wants by making good waaaaaaaaaaay greater than evil. Kronika is certainly making the opposite moral game, she will start throwing evil in the timeline to change the balance. Still, I don't think she will be the only one, because why would she bring MKII Liu Kang to confront Emperor Liu Kang if she wants more evil? I suspect someone will make profit of her tools to. I don't know if it will be Raiden. Also, I'm concerned that Shinnok was interrupted by Raiden. He was mentioning the truth of death, and this being the reason he was banished, not that story of "he wanted Earthrealm for himself". Seemed like he wanted the realms as revenge, I'm curious about the extension of his "death to all!" idea. Another thing: after a brutality, Raiden says "may you find peace in death". This is totally out of character, even for Dark Raiden, so it's obvious he's truly going into a distorted version of Shinnok's path. Seems to be plucking people from the past to face the Raiden altered time line versions. Wondering if there's young versions with no current versions alive. Also wondering if it's another alternative past? The morality of the story seems mixed. Chaotic good vs lawful neutral and Lawful Evil. 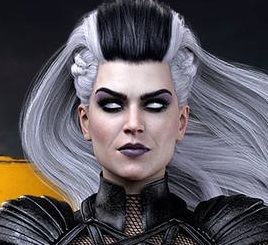 I just want to see the fight taunts/interaction between Shao Kahn and Sindel. Shao Kahn is confirmed in the story mode. Other than that Kronika just wants to balance good and evil, this is the very definition of neutrality. So I would think twice before naming her a villain. Shao Kahn has not been confirmed to be in the story mode, people throw 'confirmed' around way too much. Goro and Darkseid were not in the story but things "are gonna change", and Tabmok said "Shao Kahn is in the story, but he (Himmerick) can't talk about it." Heck, Himmerick said it. Tabmok repeated in front of him. More than people abusing the "confirmed" word, it's uninformed people who should gather more facts before they spill sentences. I wouldn't over do the roster with ninjas. I like MK to leave something to the imagination but be brave at the same time, in terms of selection. To be a bit more classy, maybe only 2 or 3 more ninjas (maximum) could be added as we have Skarlet, Scorpion and Sub-Zero already. Just because characters wear masks does that make them ninjas? I don't think so as characters have developed in their own way over the years. As for the select screen and roster, I think that the Geras square at the bottom is just a placeholder for right now. That will become Shao Kahn and moved up and to the left next to Raiden. 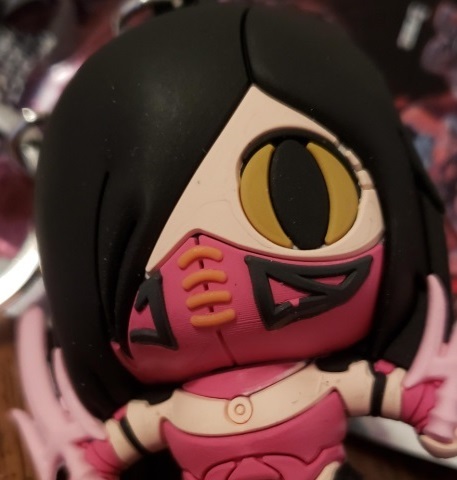 Then the spot next to skarlet will be Kronika. That will leave us with 10 DLC spots to finish the giant square that is the select screen. 36 total characters, same as Injustice2. As for WHO will be in the game... My personal wishlist is more 3D-era fighters. I'd even take updated 3D fighters over new characters. Reiko, Fujin, Kai, Mavado, Drahmin. Plus give me all the ninjas. I Love my ninjas. I think my biggest question going in to this story is Kronika’s endgame. What future is she trying to ensure? The one where Shao Khan defeats Raiden in Armageddon? Or is she just trying to achieve some neutral balance between good and evil? Or is she simply trying to undo all the effects Raiden’s time meddling produced, such as Sindel’s murder spree in MK9? What is her desired outcome as it pertains to fixing what Raiden did if that’s her goal? I’m predicting that she’s trying to shape the future as she wants it; to balance good and evil and to do so, she’s going to try and move pawns in to place to position them to suit that end. What I don’t quite get is how that will result in characters from the timelines actually meeting one another. Will that serve to push younger versions in certain directions, like Raiden, Liu Kang and Kung Lao? Same goes for the bad guys like Shao Khan, Shang Tsung and perhaps (though I hope not) Quan Chi? Maybe she somehow prevents the latter two from ever awakening Onaga? I could see a plot like this, with so many characters being manipulated, resulting in characters realizing what’s going on and perhaps even allying themselves with unlikely characters. If both sides seek to win and her goal is a neutral playing field, then that goes against what everyone wants, after all. Maybe giving them a common enemy is what ultimately brings peace, or at the very least, a return to a more stable status quo, with no real threat of “the end” anymore. Kotal Khan: Not really a surprise, and I could see them relishing the idea of a Khan versus Khan moment in the story. Erron Black: Kotal will need some of his support. Rain will likely be on his side along with Skarlet, but Erron has been a mainstay for him as well. Fujin: Like the Khan versus Khan idea, I could see a god versus god showdown where Fujin tries to help his corrupted friend. 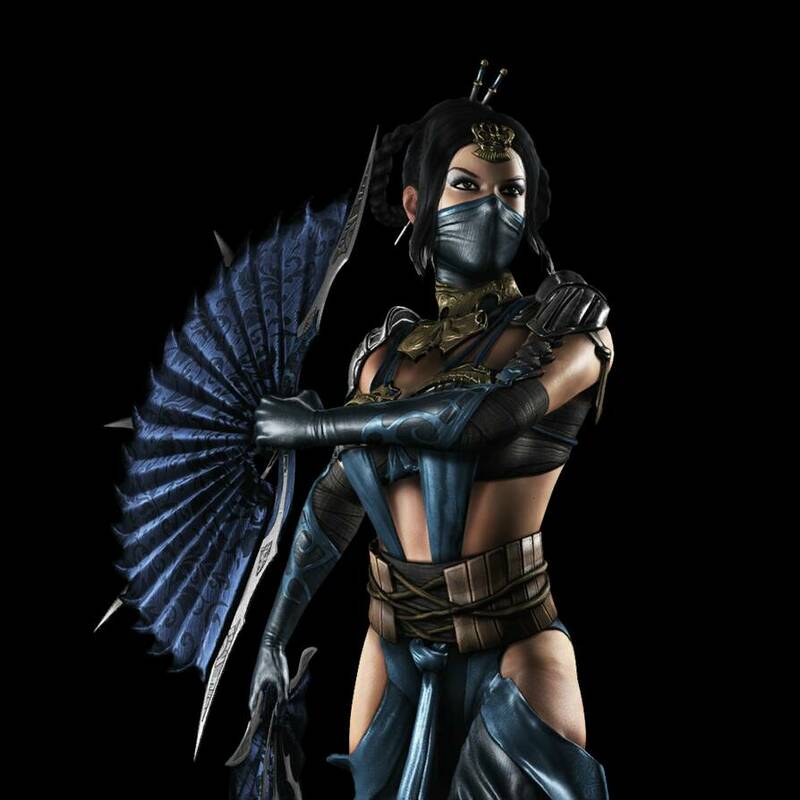 Sareena: Probably my biggest reach, but with time being such a factor in this story, I think a plot involving her, Noob, Sub Zero, Smoke and Scorpion could make a lot of sense. I'm waiting to put my true roster predictions on here until we have confirmation regarding premiere skins. Their inclusion would change everything and I'm definitely holding my breath for them. I do think we'll probably get about 8 new characters. Maybe 6 so they can get some real focus. From a base roster of 24, that takes things back to 16-18 returning characters. We know about 7.That means we're looking at 9-11 spots to fill. The only issue with that is that most of them are returning from MKX. This could be a game where you get Sindel, Shang Tsung and characters like that. But do they also leave Kung Jin and Jacqui Briggs out?